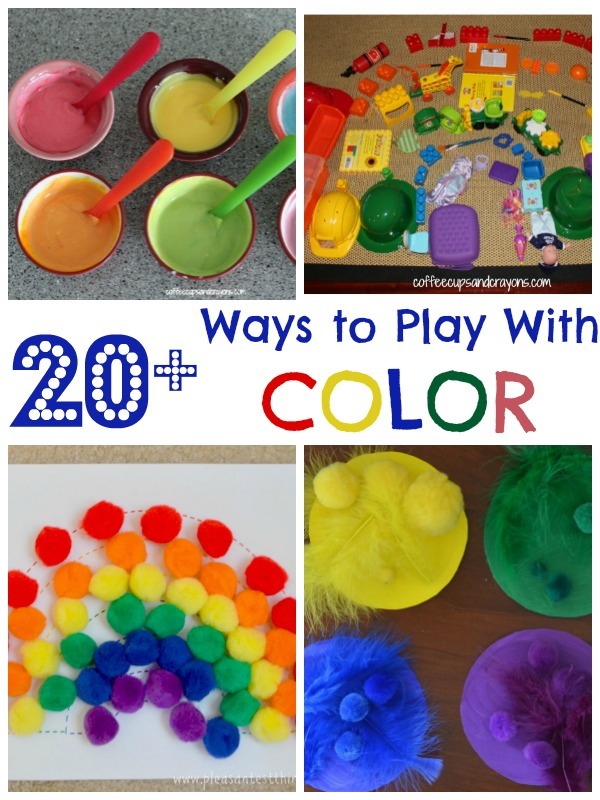 There are so many ways to make learning colors fun for kids! Cooking, games, crafts and art activities can all be used to help kids explore and learn about colors. I’m thrilled to have Carolyn from The Pleasantest Thing here today with more than 20 color activities for kids! I’m so excited to be visiting Coffee Cups & Crayons today! This website always has such wonderful colorful activities, I thought I’d share a few of our favorite ways to play with color. Colored Cellophane Shapes from What Do We Do All Day? Carolyn is a mom to two active little boys. She writes at The Pleasantest Thing, where she loves to share simple play ideas. Connect with her on Pinterest, G+, Twitter, or Facebook.